Tom started working in the shop of his father’s business, Tom Ottery Milk Transit, when he was about 14 years old. He always had an interest in how things worked, taking them apart and putting them back together. 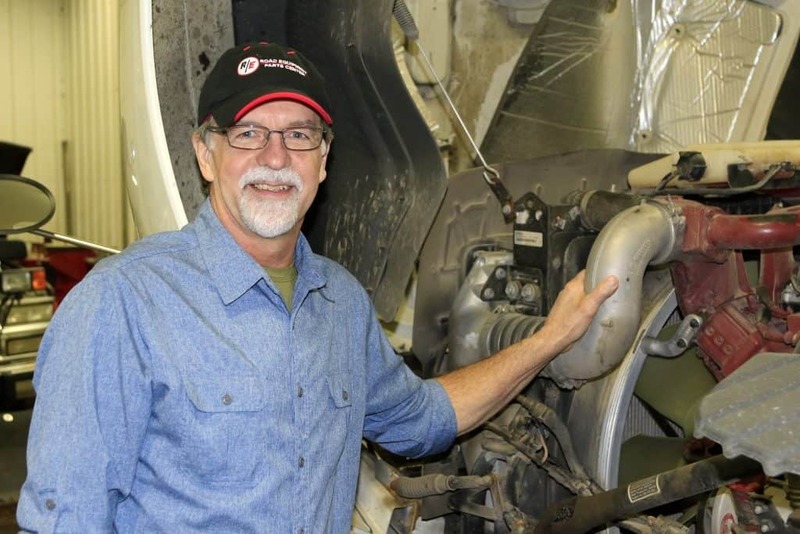 Being a diesel mechanic quickly became his passion. Over the years working on concrete floors, crawling around under 18 wheelers and long hours on his feet took a toll on his knees. After his 60th birthday the pain was more than he could stand. Never one to slow down he pushed forward right up until the spring of 2017 when Tom decided to go to the Kennedy Center. Dr. McLaughlin showed him the X rays of his knees which showed bone on bone arthritis in both knees. At the time, however, only the right one was giving him extreme pain. In April of 2017, Tom had a total knee replacement at Ascension Mercy Hospital with Dr. McLaughlin. The challenges of having muscle tone from being in great shape gave him some issues with muscle spasms, but he dedicated himself to the exercises and therapy to be sure it was all worth it. After surgery the right leg was now longer than the left, requiring a lift in his left shoe, but the pain in the left knee became intense. So on September 18th, Tom had a second knee replacement at the Kennedy Center.